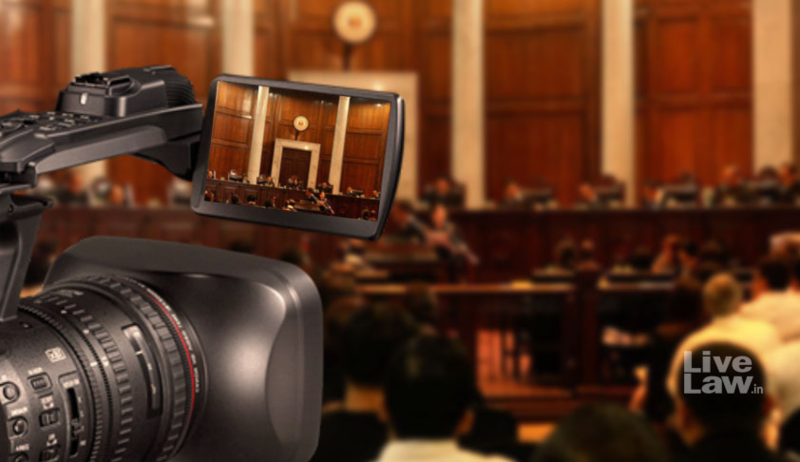 "Nothing Private Happens Here": SC Favors Audio Video Recording Of Court Proceedings In "Public Interest"
The Supreme Court, on Tuesday,favored the audio and video recording of proceedings, noting that such recording would be in "larger public interest". During the hearing, the Bench comprising Justice A.K. Goel and Justice U.U. Lalit remarked, "What privacy? This is not a case of privacy. We don't need privacy here. Judges don't need privacy in court proceedings. Nothing private is happening here. We all are sitting in front of you." It also sought a report from the Centre on the progress already made in this regard. The report has been directed to be submitted by 23 November. It was then informed by Additional Solicitor General Pinky Anand, who was appearing for the Centre, that the Ministry of Law and Justice has to sanction a proposal for financial outlay, which could be accorded any time soon. The Court had, in March this year, directed that CCTV cameras may be installed inside the courts and at such important locations of the court complexes, at least in two districts in every State/Union Territory. Such installation had been directed to be completed within three months.